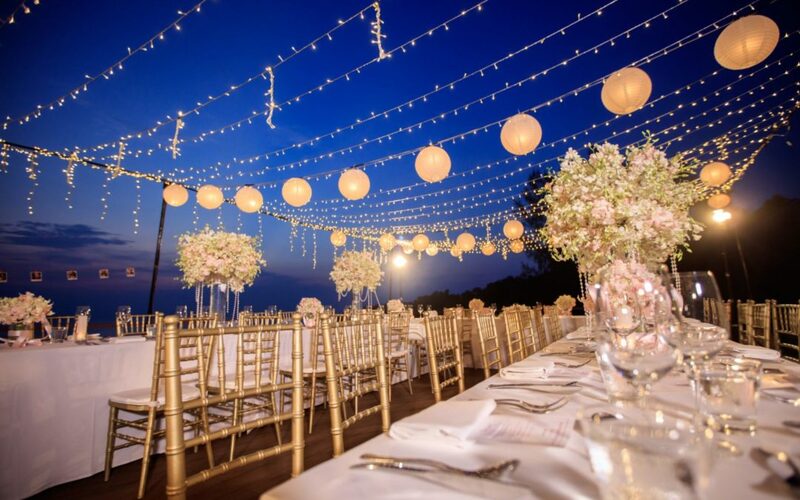 While the range of decor options available to the world of eventing is seemingly endless, making your decor make sense for both your event and budget is what will determine the final look and feel. For a swish, gala-type affair, decor elements are an absolute must. While exhibitors and stand builders alike will also be thinking about how decor can be incorporated – either for utilitarian purposes or to add a little pizazz to their exhibition or activation – when used right, decor can visually transform your venue so that it entrenches guests in an exceptional experience. Invariably, decor is high up on every planner and PCO’s to-do list and is simply not something that can be overlooked. Decor demands detail, where absolutely everything – from the draping and centrepieces to the tablecloths and cutlery – contributes to setting the mood for your event. And when you have discerning eyes focused closely on your occasion, it is prudent to ensure no aspect has been missed. Developing a theme, whether it be a Casino Royale evening for C-suite execs or a blush pink palate for a Sweet 16, will very quickly help you narrow down what decor to choose for your event. If you are putting together an event for a business or corporate client, using an existing brand identity can also inform decor choices. To avoid this being over-the-top or worse, tacky and garish, exercise a degree of discernment when it comes to branding an event and rather opt for subtle elements to bring through a thematic CI. The use of minimalistic decor with neutral tones and small pops of clients’ corporate colours, logos and pay-off lines work better for this. Another theme that is becoming more of a common trend within the event space is having an event that is as green as possible (see sidebar). And if greening is the way your event is headed, this will heavily influence your decor and look and feel. With a theme to guide your decor decision-making, you will need to expand your horizons beyond just tablecloths and centrepieces. It is important, not just from a coordination perspective but also for health and safety compliance reasons, that your decor team also interfaces with the venue as well as other service providers, especially whoever is responsible for providing access, technical, staging and audiovisual. All parties need to be in agreement on the set-up plan and how this rolls out from a logistical and timing perspective. Wiring and technical layouts have to be done prior to any tables and chairs being moved in or draping being done. At the same time, staging and audiovisual will need to be arranged so that nothing is in the path of walkways or furniture. While lighting and music don’t technically fall under decor, these elements can also work to bring further cohesion to your event theme and enhance guests’ overall sensory experience – all intended to deliver the best possible experience. Start building a list of what you will need to bring together for your execution and how you intend to source it. Work closely with the venue to determine what is required in terms of furniture as well as other essential items such as cutlery, crockery and glassware. Also, look at how the fabrics you are choosing for your tablecloths, seat covers, serviettes and draping go together and work to bring out your theme. If this is part of a service that is offered by either the venue or a preferred supplier, and they have decent options are available, it might help your budget. Otherwise, consider bringing in decor specialists who have expertise working with fabrics specifically. Add-ons such as flowers, candles, ornaments, gifts and centrepieces serve as nice embellishments and can bring an event to life but are heavy hard costs. Being specific about your layout and what you want will limit any excessive or unnecessary spend. One eye-catching centrepiece used with crisp fabrics, for example, will often suffice if the table has been laid correctly; crockery, cutlery and glassware should also complement your theme.